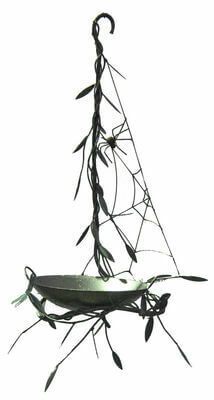 This Hanging Birdbath with Spiderweb can hang from a tree or veranda. It is made from mild steel which has developed a unique rust patina. The bowl is powder coated which keeps the water clean and free from any rust.